Serenity Mobile Notary, Mobile Notary Public focused on quality and convenience. Our goal as a notary public is to provide accurate, fast, professional, and reliable service. You need that peace of mind of knowing that you have a professional mobile notary public near that you can hire. Serenity Mobile Notary, Mobile Notary Public focused on quality and convenience. Our goal as a notary public is to provide accurate, fast, professional, and reliable service. You need that peace of mind of knowing that you have a professional mobile notary public near that you can hire. 1st Family Mobile Notary Public Service is your reliable source for all of your notary needs. Here at 1st Family we pride ourselves on our high level of professionalism, speed, and accuracy. We are a full-service notary, and we dedicate ourselves to complete your documents for you! 1st Family Mobile Notary Public Service is your reliable source for all of your notary needs. Here at 1st Family we pride ourselves on our high level of professionalism, speed, and accuracy. We are a full-service notary, and we dedicate ourselves to complete your documents for you! We are thrilled to be offering Mobile Notary Services, Apostille Processing Services, and Certified Loan Signings to the San Francisco Bay Area. We are top rated experts in our field and hope that we might have the opportunity to extend that level of expertise to you. By offering a multitude of streamlined all-inclusive services, our goal is to make your life just a little bit easier. We are thrilled to be offering Mobile Notary Services, Apostille Processing Services, and Certified Loan Signings to the San Francisco Bay Area. We are top rated experts in our field and hope that we might have the opportunity to extend that level of expertise to you. By offering a multitude of streamlined all-inclusive services, our goal is to make your life just a little bit easier. Rai’s mobile notary is a traveling notary company serving all of southern california Since 2012. We provides efficient, prompt and professional notary services!. When you need your documents notarized such as grant deeds, affidavits, travel consent forms, power of attorney, loan documents, marital separation, general release forms or any other important documents you need to pursue for legal transactions you can definitely count on Rai’s Mobile Notary. Rai’s mobile notary is a traveling notary company serving all of southern california Since 2012. We provides efficient, prompt and professional notary services!. When you need your documents notarized such as grant deeds, affidavits, travel consent forms, power of attorney, loan documents, marital separation, general release forms or any other important documents you need to pursue for legal transactions you can definitely count on Rai’s Mobile Notary. Onslow County Mobile Notary is perfect for insurance brokers, lenders, realtors, auto dealerships, healthcare providers, law offices and private individuals. Today, in our modern age, there’s no need for you to go out and look for a notary anymore, with a company like Onslow County Mobile Notary we come to you. This is what we call a mobile notary public. Onslow County Mobile Notary is perfect for insurance brokers, lenders, realtors, auto dealerships, healthcare providers, law offices and private individuals. Today, in our modern age, there’s no need for you to go out and look for a notary anymore, with a company like Onslow County Mobile Notary we come to you. This is what we call a mobile notary public. We're a Texas statewide 24 hour mobile legal and real estate services company who provides process server, courier, loan signing agent and notary public services. Our notaries can travel to you 24/7, including weekends and holidays. We provide Texas Secretary of State and U.S Department of State apostille, authentication and embassy document legalization services for every country in the world. We're a Texas statewide 24 hour mobile legal and real estate services company who provides process server, courier, loan signing agent and notary public services. Our notaries can travel to you 24/7, including weekends and holidays. We provide Texas Secretary of State and U.S Department of State apostille, authentication and embassy document legalization services for every country in the world. As the leader in packing, shipping and mailbox services in Covina, we provide a variety of services, including mailbox rental, mailing services, packaging and shipping (USPS, FedEx, UPS, DHL), notary public, computer rental, copying, printing, faxing, key duplication, and moving supplies. For the holidays, we offer Christmas gift wrapping services and holiday shipping. As the leader in packing, shipping and mailbox services in Covina, we provide a variety of services, including mailbox rental, mailing services, packaging and shipping (USPS, FedEx, UPS, DHL), notary public, computer rental, copying, printing, faxing, key duplication, and moving supplies. For the holidays, we offer Christmas gift wrapping services and holiday shipping. Are you looking for a Maryland Notary Public after normal business hours? If you answered yes, you will find a Maryland Mobile Notary Public right here to help you! The Traveling Notaries in Maryland are your perfect solution! We hope that you would find a Maryland Notary here to be your after hours Premiere One Stop Notary Public Shop for your notary document signing needs. Get your Power of Attorney Documents and more notarized by a Maryland Notary Public today! Are you looking for a Maryland Notary Public after normal business hours? If you answered yes, you will find a Maryland Mobile Notary Public right here to help you! The Traveling Notaries in Maryland are your perfect solution! We hope that you would find a Maryland Notary here to be your after hours Premiere One Stop Notary Public Shop for your notary document signing needs. Get your Power of Attorney Documents and more notarized by a Maryland Notary Public today! For more than 25 years, Marcus A. Jones, III has represented clients as a general practice attorney with focus on family law, criminal defense and probate cases. For more than 25 years, Marcus A. Jones, III has represented clients as a general practice attorney with focus on family law, criminal defense and probate cases. We are dedicated to providing professional and reliable process service to those in Columbia, SC and its surrounding cities. We are dedicated to providing professional and reliable process service to those in Columbia, SC and its surrounding cities. Notary Today serves your notarial needs in the city of Bellflower and surrounding communities as well as all of Los Angeles, Orange, and Riverside counties. Services are available in your home, office, hospital room, or the jails; wherever it is convenient for you. Any document can be notarized upon presentation of valid identification. Notary Today serves your notarial needs in the city of Bellflower and surrounding communities as well as all of Los Angeles, Orange, and Riverside counties. Services are available in your home, office, hospital room, or the jails; wherever it is convenient for you. Any document can be notarized upon presentation of valid identification. Specialized in providing professional and reliable service of process throughout Northern Texas. Specialized in providing professional and reliable service of process throughout Northern Texas. Peace Arch Business Center is a fully-staffed professional business facility offering executive suite and virtual office services. Perfect office solutions for small business owners and home-based businesses. Peace Arch Business Center is a fully-staffed professional business facility offering executive suite and virtual office services. Perfect office solutions for small business owners and home-based businesses. Liquor License Leaders specializes in buying, selling and consulting in the alcoholic beverage industry. We take great pride in our work and the services we provide. 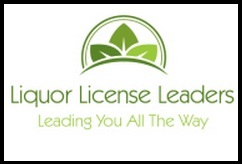 Liquor License Leaders specializes in buying, selling and consulting in the alcoholic beverage industry. We take great pride in our work and the services we provide. Get your documents legally notarized right now. No scheduling or driving. Plus, we typically cost 76% less than mobile notaries. Get your documents legally notarized right now. No scheduling or driving. Plus, we typically cost 76% less than mobile notaries. FindNotary is the best place to find public notaries around the entire United States. Find a notary in seconds based on location or any special requirement. We have the largest database of qualified public notaries and mobiles notaries online. FindNotary is the best place to find public notaries around the entire United States. Find a notary in seconds based on location or any special requirement. We have the largest database of qualified public notaries and mobiles notaries online. Rachel gives national, regional and local title companies the strategic advantage, by providing a “one-stop” shop when it comes to witness loan closings. Her objective is to provide you with a consolidated set of services. Rachel gives national, regional and local title companies the strategic advantage, by providing a “one-stop” shop when it comes to witness loan closings. Her objective is to provide you with a consolidated set of services. Wisdom & Authority Titling Solutions provides auto titling and registration assistance to individuals, service companies and commercial companies. As a vehice titling specialist, I take care of the entire vehicle titling process for my clients. Wisdom & Authority Titling Solutions provides auto titling and registration assistance to individuals, service companies and commercial companies. As a vehice titling specialist, I take care of the entire vehicle titling process for my clients.